All we available now for you apply. - We are looking for person in charge in each area to handle big nationwide smart learning project in Penang, Butterworth, Bukit Mertajam, Kulim and Ipoh! 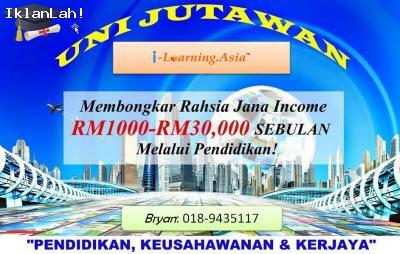 Interested please whatsapp/sms (Name, Age, Contact number, Email address, Area, Working experience) to 0189435117. LIMITED SPACE !! Hurry up !!! *1st come 1st serve* open for first 20 applicants only. Thanks.